I assist a variety of clients including spouses, partners and relatives of individuals who have died as well as executors, trustees and charities. 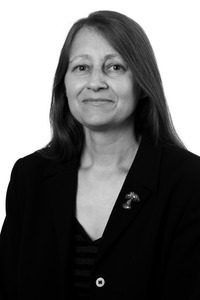 I advise and assist clients with disputes following the death of a loved one or other individual, with a particular emphasis on claims for financial provision under the Inheritance Act 1975, disputes over the validity of wills, issues of mental capacity or undue influence. I also handle claims arising on intestacy (the absence of a valid will), disputes between and removal/replacement of executors and trustees, and other disagreements arising during the administration of an estate or the life of a trust. I also deal with contentious Court of Protection applications (e.g. statutory wills or disputed Enduring Powers of Attorney). I have been a Member of ACTAPS (The Association of Contentious Trust and Probate Specialists) for many years and am a trustee of two charitable trusts. Lisa Green balances being extremely personable with strong technical acuity. Lisa Green makes every effort to ensure that her clients achieve the best possible outcomes.